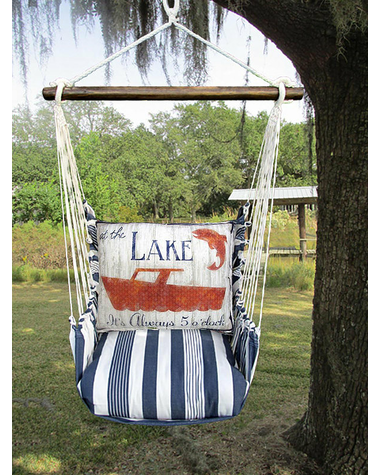 Relax after a day in the boat in our comfortable swing chair. 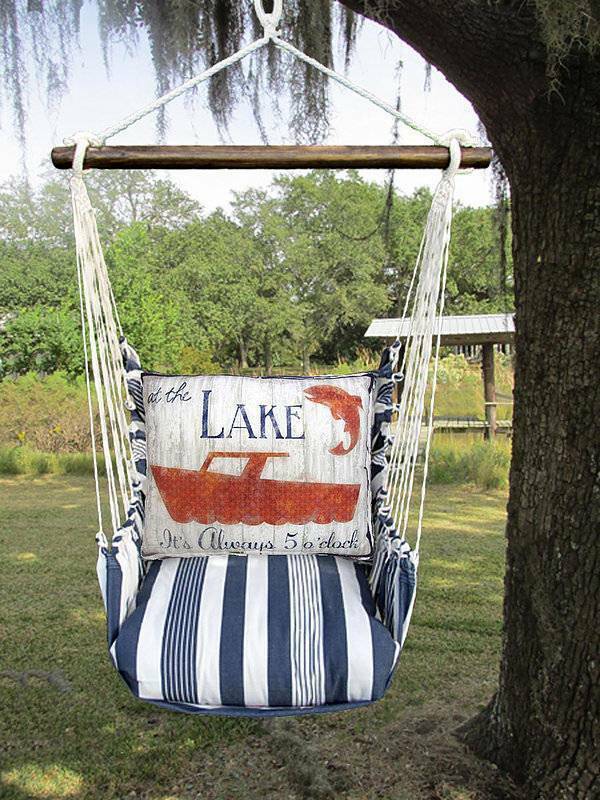 The chair some with two outdoor pillows and can be hung and removed in seconds. Available in two styles, one featuring a child leading into the water from a pier, with the caption "Life is Better at the Lake" and the other with a boat that reads " At the Lake, it is Always 5 o'clock." The cars are sun and mildew resistant, so no fears about leaving them overnight.